The past few days I’ve been taking the bus from Alexandria to Arlington. We live in a diverse neighborhood on the north end of Alexandria, close to a large Latino community made up of mostly Central American immigrants. Since I am usually one of the few gringos on the bus, it sort of reminds me of being in Costa Rica, which is where I first started making art for others besides myself. 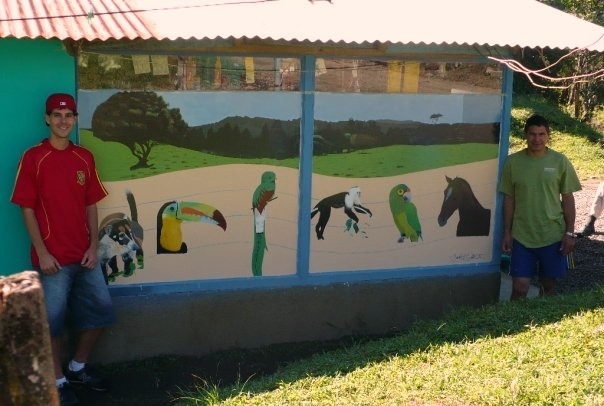 Even though I worked in community economic development as a Peace Corps Volunteer with the local people of La Cruz de Abangares, I especially enjoyed collaborating with several of them on artwork for public display. So I thought I’d post some pictures of that work, along with a few other non-art projects! Paintings of local cultural symbols that I did with the kids. 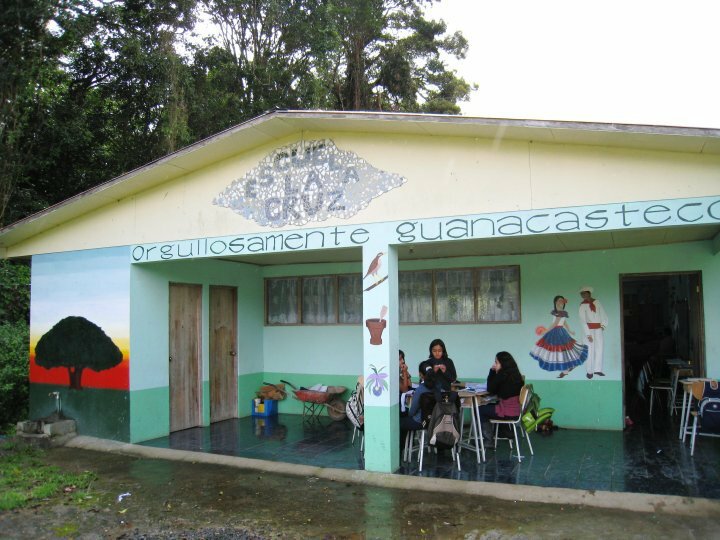 The top reads, in English, “proudly Guanacastecan.” Guanacaste is the province. 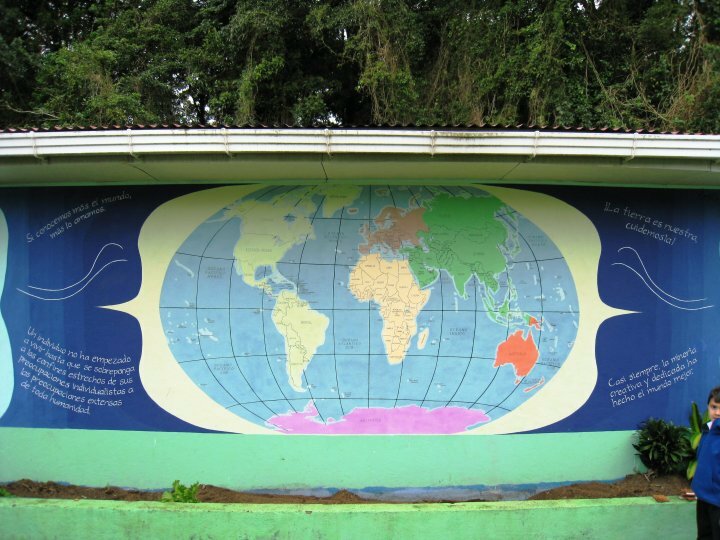 World map mural on side of school with all of the countries in Spanish. We used this for geography lessons, competitions and games! I also taught Junior Achievement and English at the school. 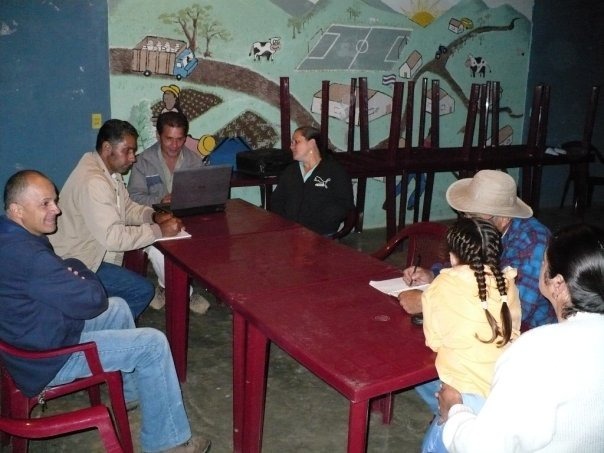 One of the initial meetings with board members during the formation of ECC La Cruz, a community credit bank that I led the establishment of, in partnership with FINCA Costa Rica. Yes, this was indirectly a part of my job! 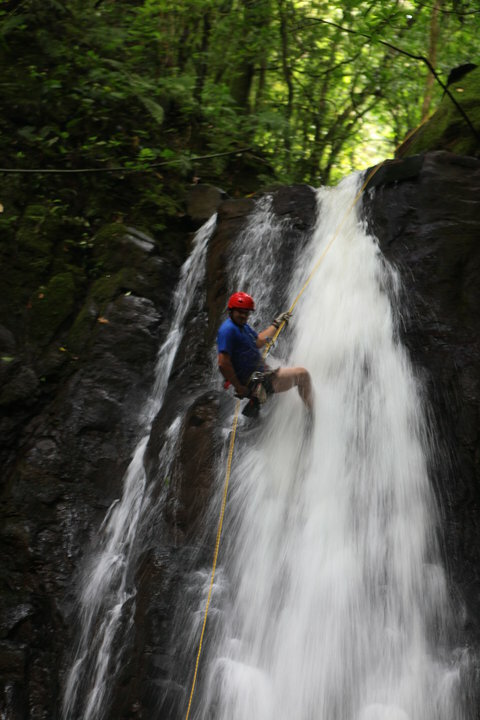 This waterfall rapelling tour is one of the tour options of Finca Modelo, a local, family-owned eco-tourism farm that I closely helped with marketing and expansion efforts. 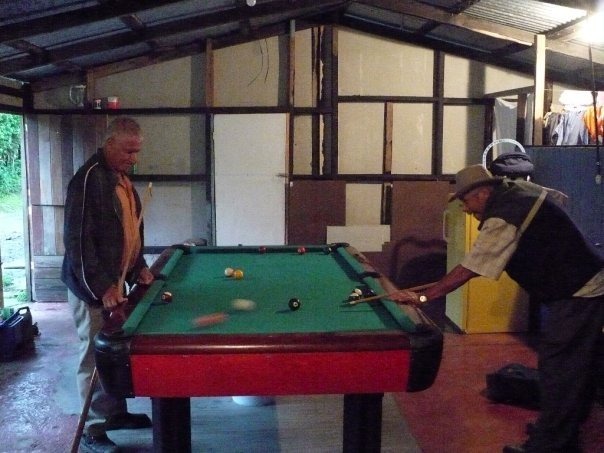 Pinocho and Don Herman playing pool in the back room of the pulpería – 2 of the best in La Cruz. I had many pool battles with them.